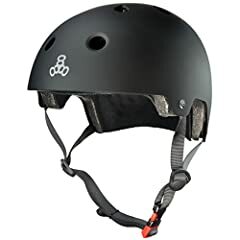 What’s the BEST WHEEL SIZE for Inline Skating? 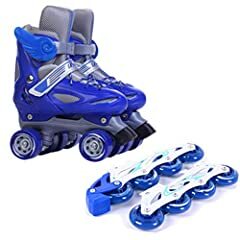 I compare small and large rollerblade wheels. I explain why I prefer 100mm wheels and show when/why/for whom smaller skates may be preferable. I also reference the triskates videos. It’s important to consider triskates versus traditional four wheel inline skates. Finally I recommend you check out skaters Shaun Unwin and Leon Basin on 100mm wheels and Greg Mirzoyan and Bill Stoppard on 80mm wheels (Bill lately switched to Powerslide triskates). Damn just bought 80mm wheel skates because ingot em so cheap, but live in northern europe and i weight 100kg haha. Well, lets see what happens. 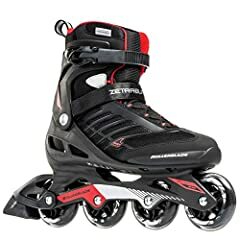 By advertising it was said to be for adults and for fitness so..
I’m a inline hockey player, I want wheels so I can skate outdoors, should I get all my wheels the same size or keep the hi low setup? 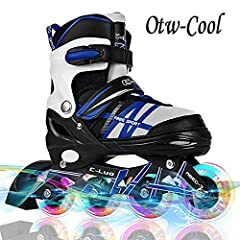 Hi and thanks for the good information on inline skates. I found I was constantly distracted watching your video because you aren’t looking into the camera lens (at me). Very common mistake for newbie You Tubers. Thanks again I look forward to your next info-post. what skates did you used in singapore? is powerslide imperial one 80 good for SG? I recently tried a rocker setup, 76 80 80 76 so one is essentially skating on two wheels only and the manoeuvrability is amazing. I have only been skating for eighteen months and I am intermediate level. I skate outside mostly and where I am (Norwich uk) the surfaces are bad. However my technique has improved dramatically. By getting lower one can skate on some very bad surfaces. People tend to get into bad habits skating on rinks only as the surface is so good. I find when I’m learning new techniques getting lower makes all the difference. All the best Nige. Depends if you looking for speed up to 90mm or maneuverability under 80mm. The best wheel size for me is 72 & 76 mm on a rockered setup, for freestyle 🙂 because i’m a…very short & lightweight person lol!